When photojournalist Jen Mosher and her partner decided to use adoption to build their family, they made a rare decision. They wanted to adopt HIV positive children. 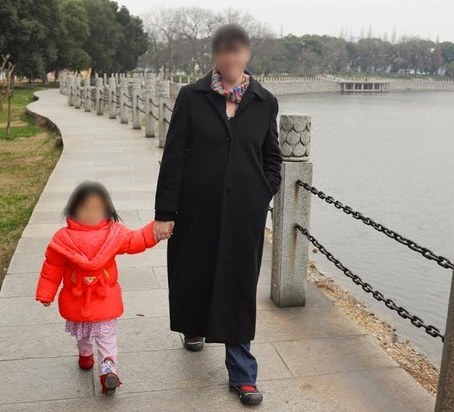 Not happy that many adoptive parents go for healthy children, the mother of two adopted children decided to journal her feelings after she got tired of the unnecessary stigma associated with HIV. After doing some research and talking with other families, we absolutely knew that we could do it and that HIV was a manageable chronic disease. In spite of this, the very next day, we got matched with our HIV-positive daughter, and then later, we also got matched with and adopted another amazing HIV-positive child. She has played with your child at a local private preschool, been dunked next to yours during swim lessons, and stands in line behind your kid in gymnastics class. My HIV-positive child has legal protections that mean we don’t have to tell you —schools, camps, parents, or anyone except doctors and dentists—about her HIV-positive status. At kindergarten this year, my sweet girl tried to tell your child. “Natalie, guess what? I have a dragon in my blood. I was born with it and my China mommy had it, too. When I take medicine the dragon stays asleep.” Natalie, and five other friends, did not believe my daughter. In fact, one told her, “Well, I was born in China and I have a dragon, too!” I guess he felt left out. I explained to her they just didn’t know the whole story and couldn’t understand. Yet. So why don’t I have to tell schools, churches, and day cares? Because HIV has never been transmitted in these situations, period. Modern medications render the virus powerless. Every four months my child has her blood checked, and every time the results are the same: the sensitive lab tests detect no virus in her bloodstream. She is healthy, happy, and hilarious. I bandage her scraped knees; mop up bloody noses; share food, water, and kisses; and deal with boogies—all with no risk and no worries about contracting HIV. Look, she just happened to be born with it. If her birth mother had been able to take life-changing antiretroviral drugs while she was pregnant, my daughter would be HIV free. It’s possible that she wouldn’t even have been relinquished for adoption. Just so you know, those expensive medications that my daughter and other HIV-positive people take every day? They’re free in China. Free! The government pays for them. But most Chinese HIV-positive people don’t take them, because admitting you are HIV positive means to die to everyone you love. You will be disowned, kicked out. Shunned. My daughter might date your son when she’s a teenager, and she’ll marry and have HIV-negative babies one day—if she wants to. Please, fellow mommies, know that HIV is nothing to be afraid of. Please look online, google it, and talk with your pediatrician. Learn and research so that you know the truth, too. You don’t have to take my word for it. But just so you know, my HIV-positive kid is playing with your kid, and you have no idea which one she is. And that’s okay. HIV isn’t scary, but ignorance and stigma are.